Colorado’s regulated marijuana marketplace is working better than expected, according to a new state-commissioned report. The first-of-its-kind analysis provides an overview of the state’s cannabis system, including information about supply and demand, trends in consumption and pricing data. The top-level takeaway is that the legal marijuana program is meeting demand from residents and visitors alike. 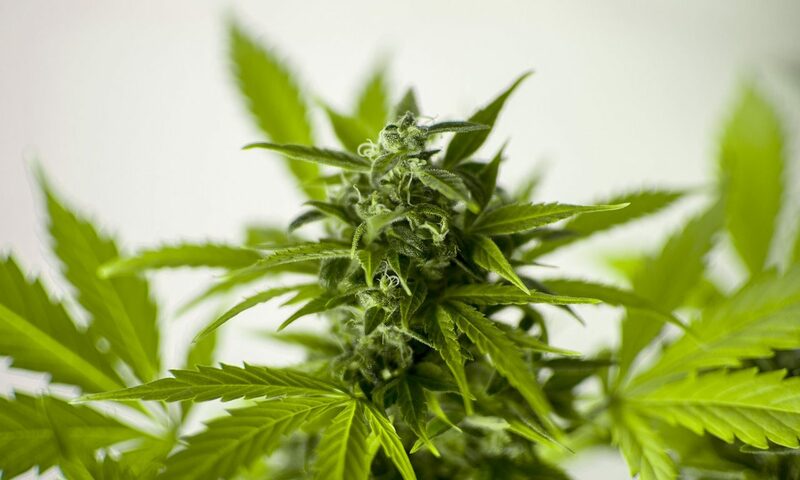 That’s an important finding for state regulators, especially considering that just 65 percent of users obtained their cannabis from the commercial market in 2014. In other words, more people appear to favor legal access over the criminal market. (A recent study revealed a similar preference among users in Canada). 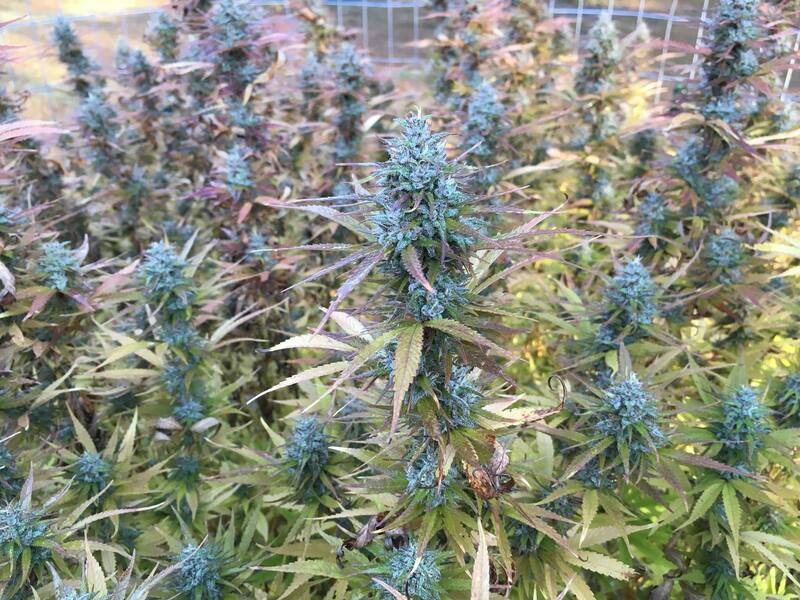 “This report gives me comfort that the licensed, regulated commercial marketplace is working well and is part of the state’s continuous effort to monitor a comprehensive marijuana regulatory framework, improve transparency and use data to inform the public about Colorado’s marketplace,” Mike Hartman, executive director of the Colorado Department of Revenue, said in a press release. The report found that competition in Colorado’s marijuana marketplace has also strengthened. The top 10 cannabis operators in the state accounted for 23.1 percent of the total sales in 2017. That’s down more than three percentage points since 2015, when the top 10 operators accounted for 26.6 percent of the total sales. 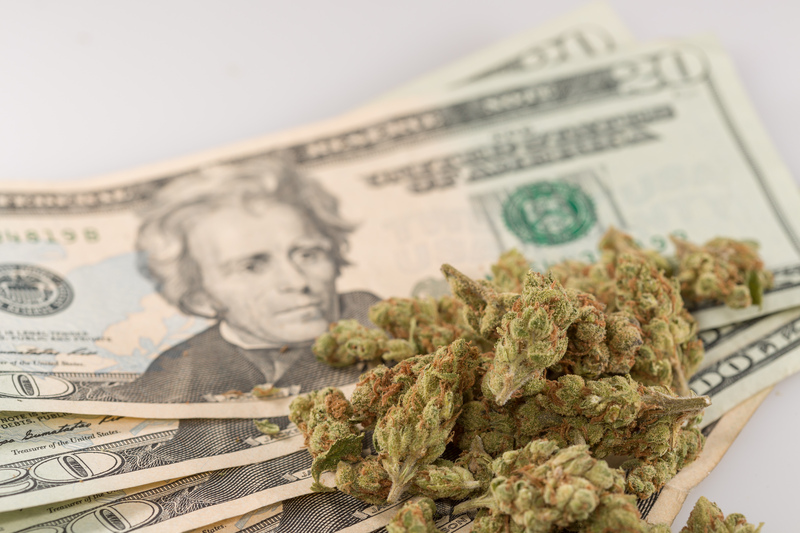 Competition is a more decisive factor in marijuana pricing than was previously believed, the report also determined. While some have speculated that demand related to tourism would be a dominant factor in pricing, the report showed that prices were highest in areas with the fewest legal dispensaries. 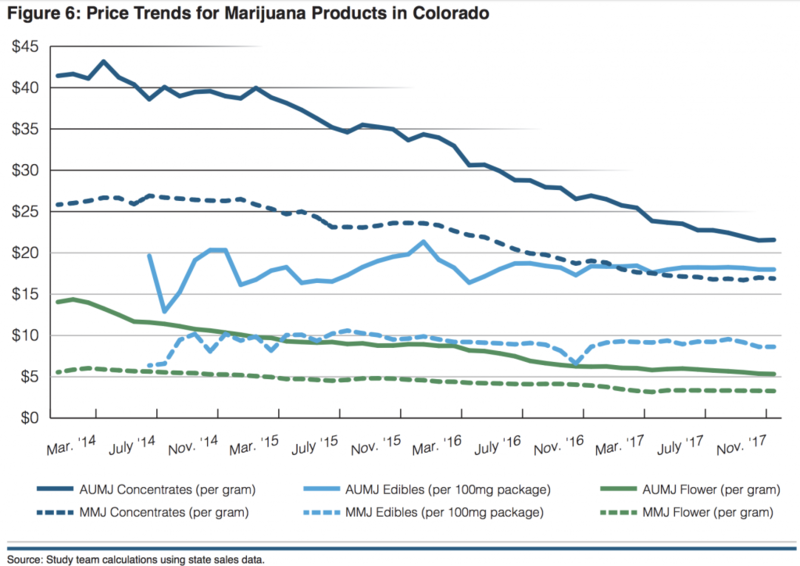 The price for a gram of cannabis from adult use ranges from $8.30 to $11.75 on average in border and mountain towns, for example, while the overall average is $5.79 per gram. That’s 62 percent cheaper than the average price per gram in 2014. Another interesting finding concerns consumption trends. Though flower sales are still the highest by far, demand for edibles and concentrates have continued to grow. In 2014, concentrates represented about 12 percent of the market share for adult use; in 2017, that figure increased to more than 23 percent. 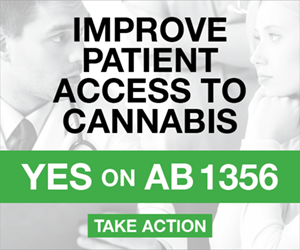 Similar trends have also been identified in recreational marijuana states like Washington.